Sources were not contacted to verify information. Close examination will reveal that there are contradictions in information depending on the sources of information (ex: how many women are in prostitution in Thailand). All statistics are reported with no attempt to evaluate which numbers are more likely to be accurate. In fact, the exact numbers in many cases are not known and estimates come from different sources which use different methods to determine what they report. We hope these facts will assist people to recognize the harm caused throughout the world by sexual violence and exploitation and catalyze action against this violence agianst women. This project was made possible with the support of the College of Arts and Sciences, University of Rhode Island and the Norwegian Agency for Development Cooperation (NORAD), Norway. If you use this information in your work, please reference this factbook-- The Factbook on Global Sexual Exploitation, Donna M. Hughes, Laura Joy Sporcic, Nadine Z. Mendelsohn, Vanessa Chirgwin, Coalition Against Trafficking in Women, 1999. 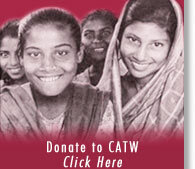 CATW's website is currently under reconstruction. Please pardon our appearance and check back with us again soon.